There are several hacks out there for pokemon go but most of them are for Rooted android phone. I have researched and found a an easy way to hack pokemon go using tutuapp without root access on your Android phone. In this tutorial, i will show you the real life walking hack in Pokemon Go with tutuapp. A lot of developers have realeased hacks for pokemon go but now most of them don’t work. Seems the Niantec have been filling out the loop holes in the game with every new update. You must be thinking that, What is tutuapp?. Whether it is an app or some hack. Tutuapp is a Chinese appstore or online inventory from where you can download millions of cracked free apps and games. IT is also called Bunny Assistant and it has a Rabbit as its logo. What I will show you today is how you can download Pokemon GO tutuapp for android and hack real life walking in pokemon go. You may be pretty well familiar with PokemonGoAnywhere. The hack is used for tap to walk in pokemon go. But this does not works now as reported by users. So, to hack pokemon walking you need to download tutuapp and install pokemon go and then it will hack the pokemon go real life walking. An emulator control joystick buttons will appear in the game. You can walk or run by pressing the emulator joystick in Pokemon Go. You can also install iOS without Jailbreak. Please Remember one thing that this a modded hacked pokemon go version and there aren’t 100% chances that it will work perfectly on your device. You may find some problems installing it or playing. If it works for you then well and good but if it doesn’t then do remember this is a modded version not the official one. Now let us start the work we are all here for. Follow the steps below to hack pokemon walking in real life. This is old post. Tutuapp Pokemon Go hack is not working right now. It is providing regular pokemon go version because niantec has updated its anti hacking system. Subscribe to get update on when pokemon go tutuapp hack is available. But for now you can install Fly GPS hack for Pokemon Go. Below are the steps you should follow in order to do the trick. Download Tutuapp apk from above download button. Once tutuapp is downloaded. Go to settings>>security and enable unknown sources. Skip if already enabled. Now install tutuapp that you have downloaded earlier. Now open the tutu app. On the top you will see Pokemon Go app. Tap on the green button right next to it. The device prompt you to open it in browser. Select any browser and the link will open. Now Pokemon GO app will start to download. If it asks you to download then select yes. Note: In My Case below case doesn’t appear. But if it does then do the following. When you open the app. A list of apps will appear to be enabled. Search the Pokemon go app that you have downloaded just now which you are running now. Enable it and tap the back key. Done!!. Pokemon Go will now run with joystick appearing on the screen. Sign in with your ID. And run in pokemon go with joystick without actually walking. There is a sidebar popup appearing on the left top. These are i think some other hacks. You can check them out while playing the game. Note: You may have problem signing in with your Google Account. It is reported to stuck at loading animation. So, in order to sign in correctly you have to sign in with Pokemon trainer account. If you don’t have one then go here and make new. Pokemon go tutuapp is a hack for android. It lets you bypass real life walking and gives you joystick. So, you can play pokemon without actually moving. That is it guys. You have hacked pokemon go walking. Hope you like Pokemon Go Tutuapp Android hack. If you have any questions drop a comment below. Please share it and subscribe to our blog. Bye !!. no there is no risk if you donot touch anything..!! Hi, i downloaded the tutu pokemon go on my android device, and there’s no hack or modified version with the joystick. is there another option to get the mod version on my android? is there a risk to get banned if you teleport but nether touch a pokestop or open a arena? just walking for searchng pokemons an teleport back with it to catch it? I don’t have the option for a Chinese pogo. why? After installing and opening account via trainers club….. It always asks me to update and whenever I clicks on it… It takes me to play store…. Now what shall I do? Hi, I have a problem. Everytime I try to open the chinese pokemon go, it says something about installing a new update (I can’t go on without it). When I click the link, it takes me to play store. 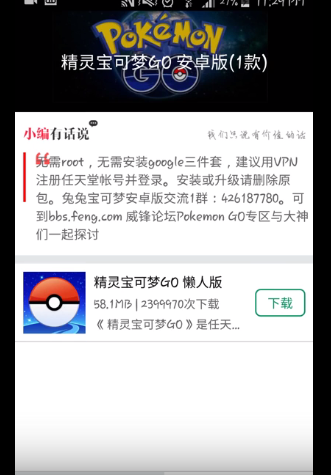 Apparently I can’t download both chinese pokemon and regular pokemon go at the same time. Why i dont have joystick ??? Version .33 and .35 is not working anymore as of today, the update to continue page will be out once load. Hi Guys, I have a problem with my google account. Don`t let me sing in and the game don`t run normally. If i create a pokemon trainer account i have to begin from level 1? Perhaps there is not other solution for now except pokemon trainer account. i have been facing a prob since long..i am unable to login throgh google login in PoGo.. Please help.. let me know if tutu limited for PTC login users only 🙁 ? Bhai passwrd incorret dikh raha hai . Konsa Password. Agar Gmail ka keh rahe ho tu, Gmail account se sign in nai hota. Pokemon Trainer account banao aur us say sign in karo. It isn’t giving me a joystick I dont know where my app drawer is ? I already install tutuapp n install pokemon go 0.35.0 n successfully login to the game. The joystick are there too. But there is no pokestop around.. its only show an empty map. Is there any step i miss? Or is the software crashed? I don’t have a joystick. How do I get it and how do I get the option to write in coordinates?? when will the update be for us to be able to log-in using Gmail accounts? i know using the pokemon trainer log-in can prevent our main account from getting ban. but some of us have gmail accounts only..
hoping for a quick and safe update! good luck guys! happy hunting! It works perfect, but I would like to set an startpoint in another place in the world, it always starts in california. Is there any way to do it? If I start in California and change my location to south america, they banned me. Why can’t i move? But there is an joystick? I have installed the app 3x but still it crashes. I also uninstalled the REAL pokemon go app but it still didn’t work/ restart the phone still didnt work. why I cannot log in my acc? both google and pokemon trainer club ? I’ve waiting so long but still cannot log in ? Hi Faiq i already download the chinese pokemon Go and already install but i cant open the apps what should i do ? thank you for help. The joystick and other modded features disappeared. What do I do? How can i change my home? By the way thanks for the app. Anyway i had a problem with the search options, i coudn’t search any locations in the search box. Can u pls help. Ty. It is true niantic banning tutu user? Ans. Pls. No, it’s not true. Many users are using this without problems. When I open thise chineese pokemon I cant even set birth date bcs it immediately turns of. what to do? Why can’t you sign in with Google account? When I try to log in, the app crashes. Hi, I’ve downloaded it, set up a new account was going around my area using poke stops was working fine, teleported to another country then came back to my location now when I go to poke stops it just spins & no poke balls come out..
that’s what is known as a soft ban fo GPS Spoofing. Just wait a few hours and you’ll be fine. You are softbanned wait 3 hours and you can play. Tip: teleport before you log in. Hei, I’ve a problemi. I install Pokémon go app through tutuapp and then sign in with Pokémon trainer account but appear to me that is impossible to identfy my location and so i can’t open pokestop or catch Pokémon, only walk… How can i resolve this? Thanks. Hi Faiq, is there any ways to locked down with our location instead of San Fransisco? Bcoz anytime I login, always appear back to SF. Thanks. Ive downloaded and installed the tutuapp, also downloaded the pokemon go chinese thing but it wont install. It always say did not install. What should I do? 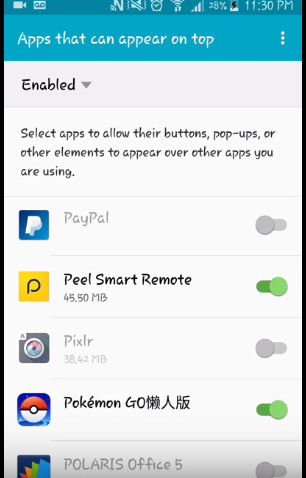 Delete Pokemon Go app to install. However, I can’t figure out how to log in bc it keeps saying failed to detect location and I even installed Fake GPS. You need to delete the official Pokemon Go. Yah it work., and how can i increase the CP and HP level by powering up without using candies. Sometimes it says you cannot level up cuz the trainer level is low. Any help. Step 6 didn’t work for me! 🙁 I looks like it’s downloading and then it suddenly stops and says app not downloaded. What can I do now? Faiq. I have it installed and it works great. But it has me on the west coast and I’m on the east coast. What the heck is going on? On tutu, if you see a pink pinball, that is pokemon go. I am having the same problem, I got 2 Android phones, one already has a google account, and the other is linked with my first Andriod phone. And I could play Pokemon Go on both phones easliy, is there a way to link Pokemon Trainer Club with your Google account ? I just wanna ask.. It is true that niantic banning tutu user? ? Every Hack that you use is against the Pokemon Go and Niantec terms and conditions not just the tutuapp. If Niantec catches you using any hack whether it is tutuapp or any other, it may soft ban you. These hack are for educatinal and fun purposes only. We do not take any responsibility. Install at your own risk. I’m not able to find Pokemon go on tutu app… It’s showing different games but not Pokemon go.. please help me..! Uninstall the tutuapp, google tutuapp, and click the link in chinese. Click on the android logo on the top-right, then the big green button. This will install the tutuapp, yet again. My version had the app, so please respond that this doesn’t work and I’ll get back to you as soon as possible. I installed tutuapp but it is not showing pokemon go app. Pokémon go app is not showing after I open up tutuapp. I have downloaded tutu app but now it is not showing Pokémon go app. What should I do? Brother, same thing happened wid me..! Any idea what to do for it..?? 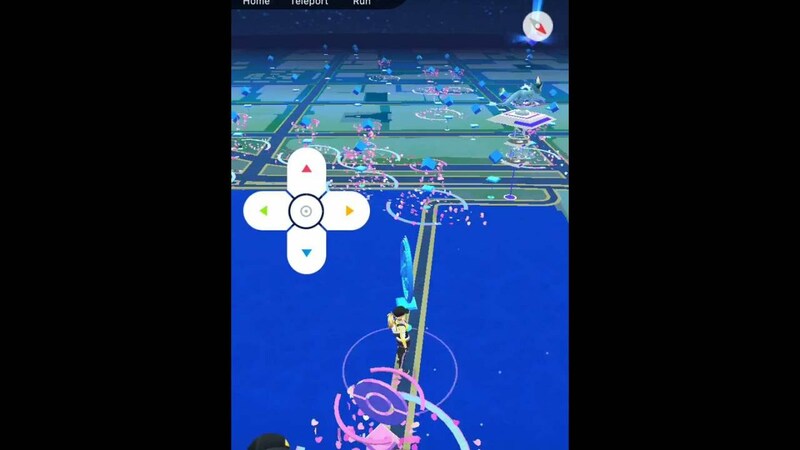 Download modded pokemon go.apk from above link….and just open it after installation of tutu….. I download tutuapp but the pokemon go app does not appears. What i do? In step 5 not the pokemon icon appears . J’ai installer tutapp Android mais je ne trouve pas pokémon go sur l’App comment faire? Hello, I Was able to DL the Tutuapp, and open the app. But It does not gI’ve me the option to DL the pokemon go app. It only shows some Pikachu and other dragon apps. Any suggestions? My location is in the US while im in some part of Asia. How do I get this right? Tap the symbols button TWICE for the negative (-) sign. “I used to clear data and clear cache of this app” is there other way to stop this crashing of app ?? I can’t even install the app. Everytime I download it, it won’t complete. Is this safe?why does it says that it has a malware? it shows that pokemon go need to update.. should i update? now pokemon go is demanding for update and tutuapp is not providing the latest version what should i do ? I downloaded tutuapp and pokemon go but when i installed it and made a new trainer account and after that it says update your pokemon go but tutuapp doesnt have any updated pokemon go still any link any help??? The application cannot install from tutuapk pokemon go, how is the problem ? There is a update version 0.33.0, so it doesn’t seem to let me log in without the update, when will there be an updated version? At this moment, the tutuapp pokemon go pops up a new update which is now i cant play because the actual App requires a new update. Wywala Jak jestem w miejscu gdzie jest mnóstwo pokestopów, jak to naprawić? i have downloaded it all fine, but when i click on the joystick nothing happens? the joystick is on my screen but appears just to not work? I have the same problem @Faiq Ahmed do you have any clue? woke let me log in! Why it’s written the gps not found but I had already turn on my gps ,any suggestion? Hi,this work fine until i uninstall the pokemon go chinese and tried to re-download it…when i tried to download the pokemon go thru the tutuapps..the download got stucked….how do i solve this? Sir. I was able to use this just last night till level12 woth a new account from pokeclub. But somehow I cant seem to flip pokestops and all the wild pokemon ive encountered breaks free from the ball and immediately flee. Why is this? Even using the same account with the real unmodded pokemon go app from niantic, the problem is still there. Please help. when that happens that means your account is locked. If you teleport, press the home button, or drive somewhere to fast the account can get locked until it catches up. The most I/ve ever been locked is 3 hours. You are banned. Sometimes it will only be for a hour or two. After i downloaded the pokemon go app from tutuapp. It says: can not open file. I already removed the original pokemon go. What to do? This may be, if file is incompletely download or you may not have enabled unknown sources from settings. Download it again, enable unknown sources and then install again. Only pokenon club login work? Can i sign in by my google account? For now only pokemon trianer account works. But we hope to see it fix in the next update from tutuapp. And what about the update ? Do we accept any new update if it is demanded ? Or we have to wait for the update from tutuapp? The first time i open the app everything works fine, but now the app is closing everytime i go in to the game. Anyone tips for me? Everything works but the avatar does not move.. how can i fix it? For those who can’t login with google on a android phone. Please use a iphone or ipad, it should work. I’ve installed this then why the joystick didnt show, anyone can help? When I hit install on the downloads app it loads for a few minutes then says “app not installed” how do i fix this? can you please elaborate? How to use VPN(virtual private network)? step by step process perhaps? How to fix the problem of loading forever?? Sign in with a pokemon trainer account. Make a trainer account from here. For those of you trying to sign in with gmail, it’s not possible on modded versions of the game. 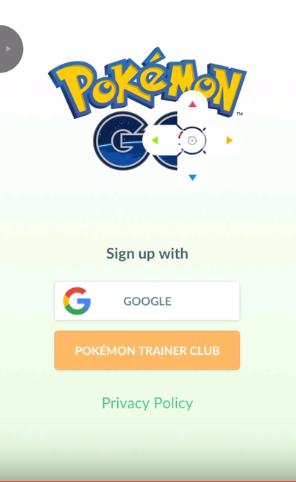 You’ll have to sign in with your PokeClub account (create one if you don’t have one). I’ve made a few modded versions myself, trying to find a work around for this, but to No avail. Everything works as it should, and until Niantic pulls their heads out of their asses, this is a decent way to still somewhat enjoy the game. If you read what he said, Google accounts atm don’t work. Hopefully, Tutu fixes it, but unfortunately, this is where you’ll be for a while. I’m using asus zenfone 5 and i already install the chinese pokemon go, but when i log in with my google account it wont entering the game.. I already reinstall the game few times, but still the same. Is there a solution to the app not logging in to accounts? You will need to make a pokemon trainer account on pokeclub and then sign in. If you have one then sign in with that. No me instala la aplicación como se soluciona? Thanks for the walkthrouh. I got it installed and all, but when i try and sign in, it just loads forever, and never seems to sign in. How were you able to get it on your phone? Everytime I try to download feng pokemon go it says the app didn’t install after saying it was blocked and asking if I want to install anyway and I said yes. And I already have allowed third party sources to download on my phone. I can’t find anything for the Samsung Galaxy S6. Use any vpn and then download it. What about being stuck on the loading screen with Google login? Whenever I try to open the tutuapp it crashes. What can I do? I had to undownload the original pokemon to get the other one to finish installing. hello i can download it but not install it ? why ?? Hi. I installed the game and I entered my account . then does not go more than anything, it starts to load but I can’t play . why? I have a lg g3 . Downloaded it several times still getting ”app did not install” :I anyway to fix? Thanks for the walkthrough. When I am installing the Pokemon Go app I am getting message App not installed. I am using OnePlus 2 phone running Android 6. Reinstall it. This occurs due to heavy load on their server. I also tried three times to download it. I ran into this issue too and was able to get around it by uninstalling my US version of Pokémon go and then installing the hacked version. I have to install/uninstall anytime I want to switch versions. I have a Samsung Galaxy S6 and when the pokemon go app is downloaded, I can’t install it. I can press on the instalbuton, but then it sais it faild. How can Ik solve this problem? Try again and again. This is due to the heavy load on their server. For me the download completed at the third try.